Great use of lighting. It makes for a very interesting photo. 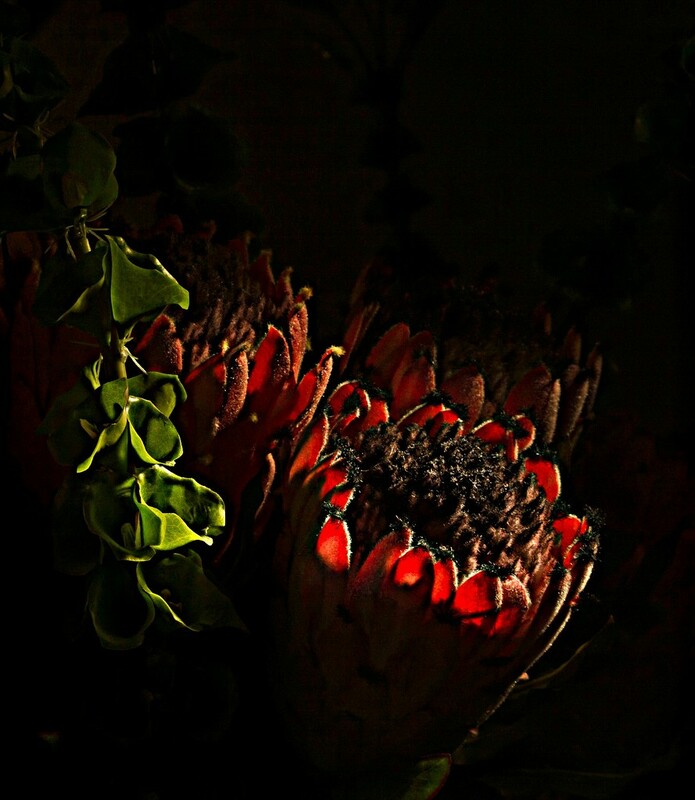 Lovely lighting and beautiful protea. A beautiful image with magical lighting. Congratulations. You've managed to take a moody photo of a flower. Very evocative. AND perfect for the Rainbow Challenge. AND on both the PP and TP. Bravo.